Oh Mama! What to Expect During Pregnancy, Debunking Myths, and Living Amazingly Stress-Free Every Step of the Way! Discover What You Need to Know About Your Pregnancy and How to Set Yourself Up For Ultimate Success On The Life Changing Road Ahead! Ignorance can naturally breed negativity, stress, or unnecessary anxiousness during your pregnancy. There many books out there that assist with understanding what to expect during pregnancy, but here you will receive that information (and more) in a way that gets to the point and answers the key questions that you will inevitably have with each change in your body. 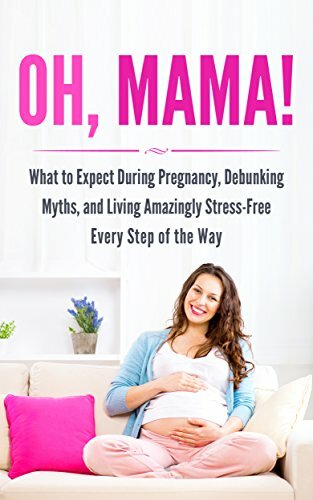 In this book, you will learn all the essential information that will keep your pregnancy worry and stress free! In this book, you will get the exact information you need to educate yourself on the road to come and have the happiest and healthiest pregnancy possible. Act now and download today at only $0.99!